The following warning was released at 8:17 a.m., Eastern Time, by Keith Fitz-Gerald, Chief Investment Strategist for Money Map Press. Mr. Fitz-Gerald is one of the few documented experts who correctly predicted both the dot-com and 2008 crashes. THIS IS HIS MOST URGENT WARNING... EVER. The greatest economic catastrophe of our generation is about to blindside 176 million U.S. investors. Because decades ago, corrupt money managers and politicians buried a $6 trillion time bomb at the very heart of the U.S. economy. Now, my research tells me that this time bomb will detonate in the next 30 days, of this year – and when it does, the average stock traded on Wall Street will plunge by at least half. Probably by much more. Millions will lose everything. Believe me: I know I’m going out on a limb here. In 2000, I told everyone who’d listen that tech stocks were about to crash and take the entire economy down with them when they did. And in 2007, I warned my readers that a handful of subprime mortgage companies were about to fail... and bring the economy to its knees... and in doing so, crush stocks. Now, to paraphrase the famous Yogi Berra, it’s like déjà vu all over again. Stocks are about to suffer one of the most extreme crashes in history and 160 million investors don’t have a clue. 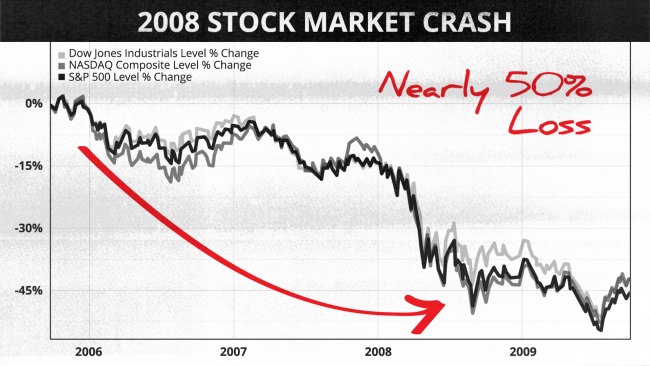 It will be – by far – the most painful stock market crash in memory. Worse... this crisis was set in motion decades ago, and there’s not one single thing President Trump can do to stop it. This is bigger than Washington. Even bigger than the entire U.S. economy. And it has the power to bring America’s entire financial house of cards crashing down. Most of the losses will occur in a single day. But the financial pain will linger for many months. 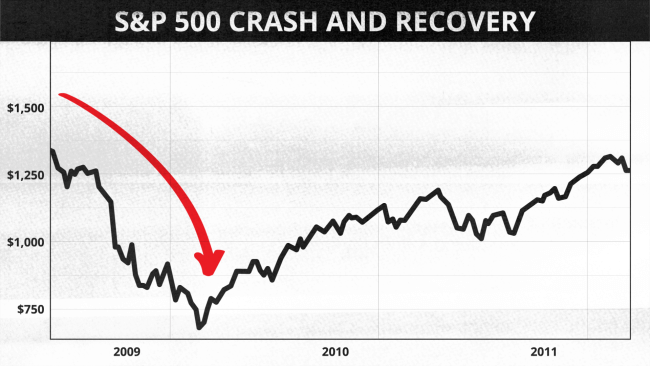 After all, it took two long years for investors to recover after the 2008 crash. This time, it could easily take a decade – or, god forbid – an entire generation. The great pension crash will change everything. It will drive millions of seniors to the brink of bankruptcy and dependency... and beyond. Corporate revenues and earnings will plunge, first, as seniors stop spending and secondly, as millions of younger consumers and investors read the writing on the wall and run for cover. Stock prices will implode. The bond market will crash and burn... interest rates will skyrocket... the entire economy will grind to a virtual standstill. And believe it or not, that’s actually the most optimistic view you’re likely to see from any serious analyst at this point. The news is shocking, to say the least. For the second time in 18 years, the incompetent and corrupt fools who run some of America’s largest financial institutions are only a few weeks away from bringing the U.S. economy to its knees. Look, in 2000, corrupt brokers and investment bankers pushed unsuspecting investors into worthless tech stocks. The tech-heavy NASDAQ plunged 75%. Many stocks like Pets.com and MCI WorldCom fell to zero. Investors lost almost $2 trillion. In 2008, bankers and mortgage lenders nearly destroyed the entire economy by handing out more than $1.7 trillion in subprime mortgages to people who could never repay them. An additional $12 trillion in funding, available through the shadow-banking system, only added fuel to the fire. 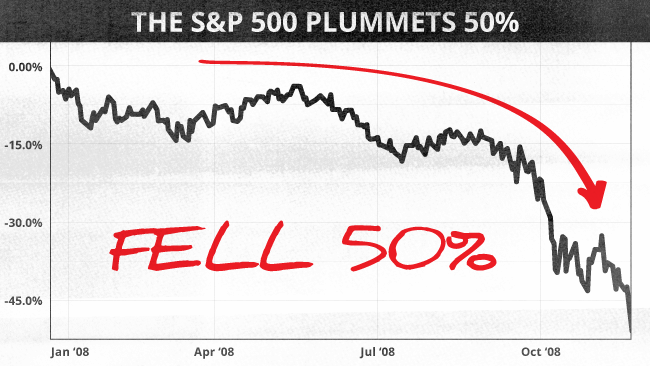 As a result, the S&P 500 fell more than 50%. Investors lost another $7 trillion. Worse, Washington bailed out the worst offenders with your tax money. And now, they’re at it again. But this time, it’s not just a few bad brokers, bankers, or fly-by-night dot-coms or telecoms. It’s far bigger than that. Last time, in 2007, mortgage lenders and the derivatives cowboys trading the securitized crap they’d created brought the entire economy to its knees. This time though, it’s America’s estimated 70,000 pension funds. As of the end 2017, U.S. pension fund assets were $25.19 trillion or roughly two times the size of the shadow-banking funding I’ve just mentioned. Worse, they owe retirees over $6 trillion more than they can pay. And, even worse than that... they have already begun defaulting on their promises to current and future retirees. As you’ll see in a moment, I have compelling evidence that the first major failures are only a few weeks away. Headlines will shout the news from coast to coast. And as I have just said, this is no mere prediction. U.S. pension plans are already defaulting left and right... they’re breaking the promises they made to current and future retirees. So, many of this nation’s 31 million pensioners are already having their monthly income cut by up to 90% and even more in some cases. 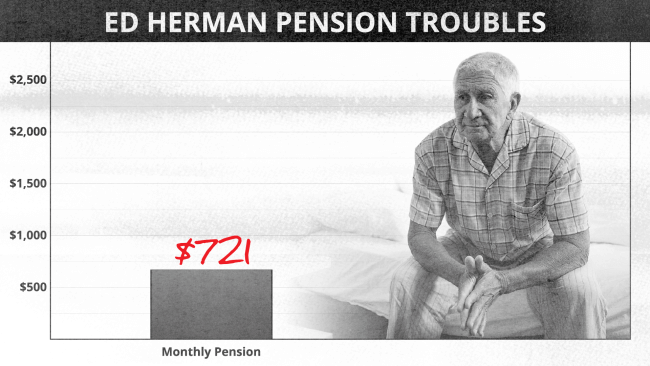 Take Ed Herman, for instance: He was scraping by on a $2,422 pension check every month. But about a year ago, his monthly check was cut to $1,465. And it just kept shrinking. Now, it’s down to $902. After taxes... he’s now collecting $721 a month. 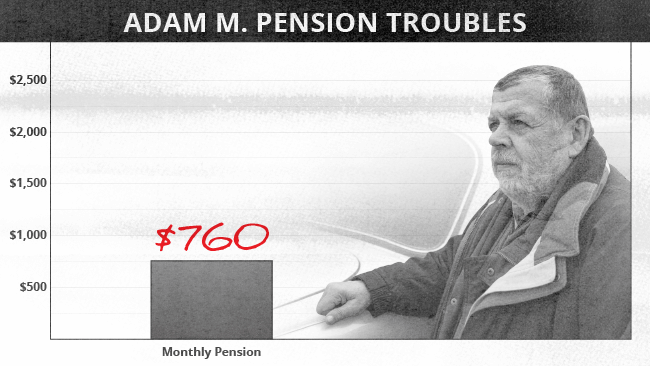 Here’s another case: Adam Milton, age 75, is a retired dockworker. He figured his $2,300-a-month pension check, combined with Social Security, would keep him and his wife secure. That same $2,300 monthly check is now $760 a month after taxes. The terrible thing is, Ed and Adam are NOT exceptions to the rule. You’ll meet many more victims in the next few minutes. Dear God, how did we get here?! I’ll tell you how we got here: The pension industry is telling a massive, $6 trillion lie – and Congress swears it’s true. And now, that lie is already beginning to quietly kill the retirement dreams of millions of Americans. You see, every pension fund has to project how much it will earn on its investments every year. That’s how they come up with the amount they promise the retirees. Now, most developed countries on the planet – like the U.K. and Canada – make very conservative return estimates. 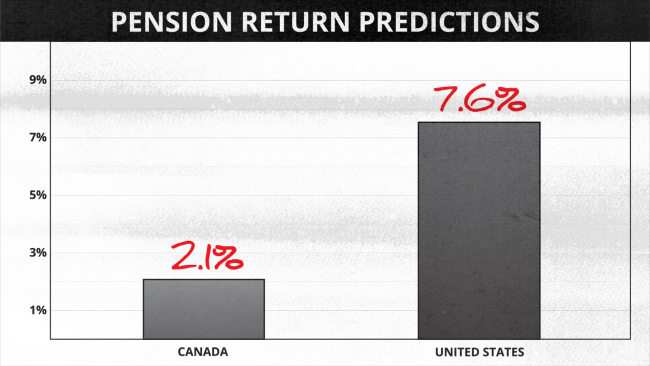 Canada, for instance, assumes a reasonable 2.1% return for their pension, and guess what? You won’t be seeing any headlines about a Canadian pension crisis! But here in the States, pension-fund managers swore on a stack of Bibles that they would earn an average annual return of 7.6% – almost four times more. Yet, they knew it was a lie. They had to. Heck, the treasuries that pensions invest in haven’t yielded a 7.6% return since 1975! And what’s more, everyone knows short-term treasuries have paid less than 2% for nearly a decade. And yet, these funds promised everybody – with a straight face – that they would realize four times that return. And sleazy politicians who oversee government pension funds did nothing. So these fund managers accepted trillions of dollars in contributions when they should have KNOWN they’d never be able to deliver the benefits plan members paid for. And they continue to deduct contributions from workers’ paychecks, knowing full well they’re ripping off millions of good, hard-working people in the process. Worse: As always happens when Washington screws things up, not a single responsible party will go to jail. The politicians who helped engineer this will be re-elected. The money managers who have run these funds into the ground will keep their jobs. And, unless you act immediately, YOU WILL get stuck with the bill. 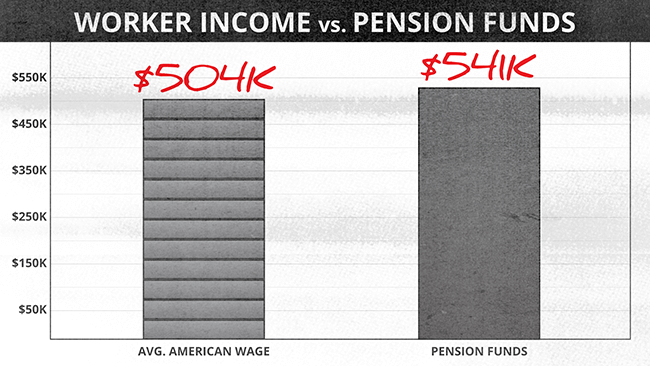 So as you can see, this isn’t just about 23% of all U.S. workers who have pensions. Because this nightmare will have devastating consequences for every man, woman, and child in this country. These funds are massive. Forbes reports they manage $22.5 trillion in retirement funds for American workers. That’s more than the total output of the U.S. economy. If every federal, state, and local worker – plus every worker at every U.S. company – threw 100% of his or her income into a pile for an entire year, that pile would contain less money than the pension funds control. The pension deficit is massive: The $6 TRILLION shortfall is about 50% more money than our spendthrift Congress blows through in an entire year. 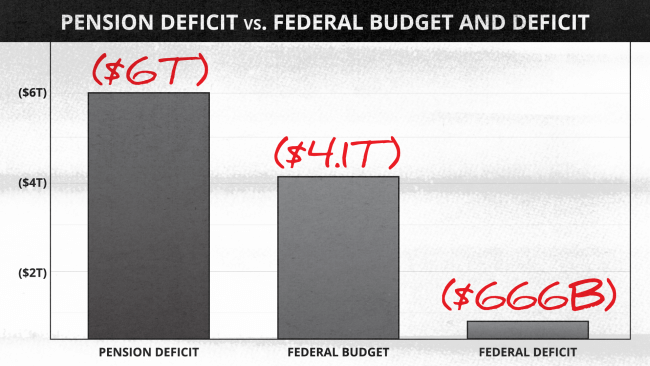 Worse: It’s SIX TIMES more than Washington’s 2017 deficit! And the Pension Benefit Guaranty Corporation – the fund Washington created to backstop these funds – is already worse than broke. The PBGC is nearly $80 billion in the red. So in a desperate act of self-preservation, these funds are now slashing retirees’ benefits, sentencing them in doing so to a life of poverty in retirement. And, worse they’re using an even more heartless survival tactic I’ll reveal in a moment. Mark my words: It’s a scheme that virtually guarantees these failing funds will take the entire U.S. economy and stock market down with them. And make no mistake: This will NOT be one of those “flash crashes” that’s over almost before it’s begun. The shockwaves from this catastrophe have the power to devastate every investment you can name: Stocks, treasuries, corporate bonds, even real estate. I know – it’s just not fair. The hard-working “little guys” who have done everything right in their lives always seem to get crushed. And that’s precisely what’s about to happen. The rich of course will get richer. Everyone else – everyone who fails to prepare, that is – gets skinned alive. The first major headlines about this crisis could be just a few days away. So there’s ZERO time to waste. Once the facts in this video explode into the headlines between now and the next 30 days, the stock and bond markets will plunge uncontrollably. The crash will come so fast... cut so deep... and so profoundly cripple the economy... it could take another lifetime for you to reclaim your lost wealth. Because 30 days from now – as these funds begin to crash – they will push 31 million pensioners... the U.S. stock and bond markets... and the entire U.S. economy... to the brink of catastrophe. We’ve never seen a crisis this big before. Because if you take a few simple steps now, you can immunize your retirement nest egg and insulate all of your investments from the devastating impact of this coming crash. And you could even use it to grow quite wealthy. You see, crises like this one also create opportunities for you to grow quite wealthy. In fact, some of the world's greatest fortunes have been created during times of economic stress and appalling market conditions. Sir John Templeton famously bought into every stock selling on the NYSE for less than a dollar on the eve of WWII and would go on to become so rich that he gave away more than $1 billion before he died. Make the right moves and you could make more money in less time than you may now believe possible. And make sure your tax bill for all of this is zero. Believe me: I'm fully aware that these kinds of windfalls sound fantastic. Is it reasonable to expect one major crisis to deliver these kinds of returns – even if you're starting with very little cash? The short answer is YES. It's not only reasonable, it is mathematically inevitable if you play this right. Of course, nothing in the market is guaranteed. After all, no one can predict the future and we live in volatile times. But in the next few minutes, I will demonstrate that these strategies are anything but empty promises. You'll be able to add up any money – and count on it. In fact, your first monthly check could arrive within 30 days… if you start today. Now don’t be mistaken, I could be wrong about this prediction. But, I don’t think I am. America’s pension funds control $22.6 trillion in retirement funds contributed by government and corporate workers. 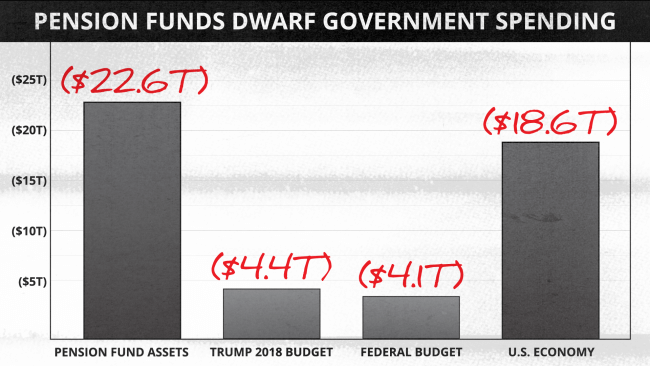 That’s FIVE TIMES the size of President Trump’s spending plan for all of 2018: 500% greater than the entire federal budget – including Defense, Social Security, entitlements, the whole shebang. 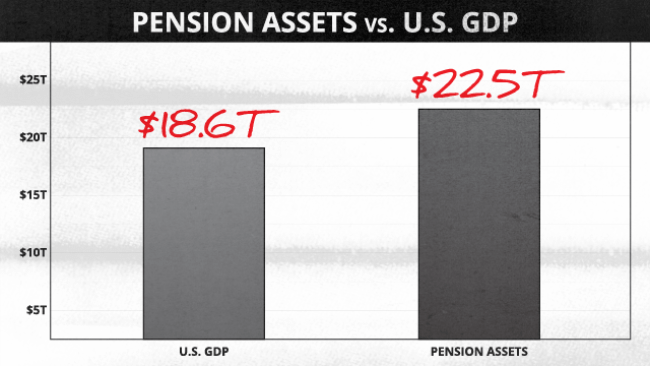 America’s pension plans NEED at least $28 trillion. Otherwise, they won’t be able to deliver the monthly checks workers have already paid for. That’s why MarketWatch published an article calling it a “$6 trillion public pension hole that we’re all going to have to pay for,” and is saying the problem is only going to get worse. Take Frank Joseph, as a case in point: He’s a 63-year-old retired ironworker from Cleveland, Ohio. 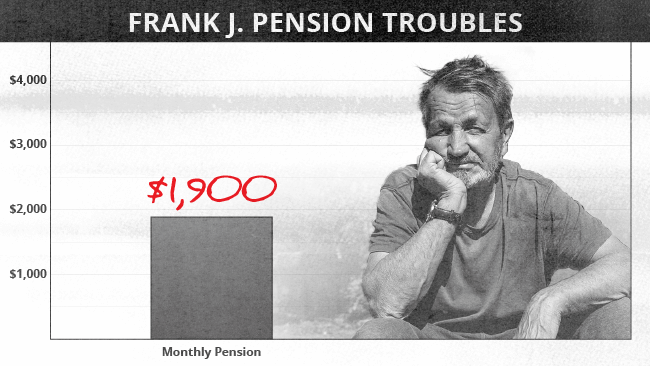 Frank knew he wanted to retire early so he worked 12-hour days, and added long weekend shifts so he could pile up credits for his pension. Everything looked fine when he was receiving his monthly $3,500 check from his Iron Workers Local 17 Pension Plan. Then the plan started to run out of money. So his $3,500 check was suddenly cut to $1,900. He could no longer afford his mortgage. Suddenly now he may have to sell his home to make ends meet. “This is the devastation I knew was coming,” Frank said. “But I couldn’t wrap my head around it. “You play by all the rules... and then they pull the rug out from under you. Pete Tyrone, age 74, had to move into the basement of his son’s home to save money after his monthly check evaporated. And again, this crisis is only now beginning to be felt. You know, I could make the case that this looming crisis is many times more dangerous than the housing bust of 2008. When this crisis explodes into the headlines this year, 31 million terrified current and future pensioners will snap their wallets shut. They will save every penny they can – and by doing so, crush corporate earnings and stock prices. But that’s not the greatest danger... not by a long shot. The way I see it, the greatest danger is that these institutions are doing everything they can to delay the inevitable. And by doing so, they are only making matters worse. You see, pension managers typically use the yields paid by short-term treasury bills to fund member benefits. Then, when those treasuries mature in 30, 60, or 90 days, fund managers roll the money over into NEW short-term bills – hopefully into treasuries that pay somewhat more than the old ones did. But when their very survival is threatened, those same managers can decide NOT to roll that money over. They can use both the principal and the yield they earned to pay current pension benefits which means they cannibalize the very investment funds they’re counting on to deliver. Short term, they’ll be able to fulfill their obligations to pensioners for a few more days or weeks. Which means that these funds will have even less money to pay pensioners next month and next year. When you think about it, watching these plans operate today is a lot like watching a snake swallow its own tail. Situations like this one never end well – and it’s not just because these plans are consuming themselves. It’s because, by not replacing their maturing treasuries, they reduce overall demand for U.S. Treasuries. And that’s a big deal – not just for pensioners... not just for retirees... but for you, me, and for everybody. And that means you’ll have less money to save... and less to spend on non-essentials. And many folks on fixed incomes will be pushed to the breaking point. It also means a major plunge in treasuries – a bear market in which losses dwarf the tiny yields they offer. Corporations will have a harder time borrowing the money they need and then it’s only a matter of time. No money for mergers and acquisitions. So corporate earnings plunge, driving stock prices lower in a vicious self-fulfilling cycle. Layoffs begin, driving unemployment higher. And that’s only the beginning of the pain. Because, as always happens when treasuries decline, just about every interest rate you pay soars. Credit cards, car loans, mortgages... the rates on those things will all shoot higher. So consumers will buy fewer homes... fewer autos... fewer appliances... fewer of just about everything. 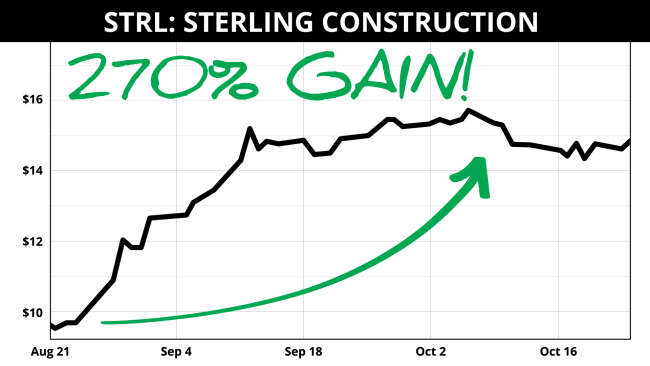 That is NOT good for the U.S. economy. Not good for the stocks you own. And definitely not good for YOU if you’re planning to be financially independent for the rest of your life. Can you see why I say this crisis could make “The Great Recession” of 2008 pale by comparison? 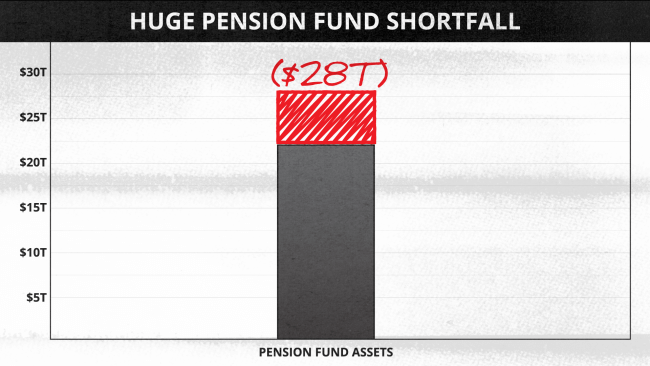 Look: These pension plans have come up $6 trillion short. 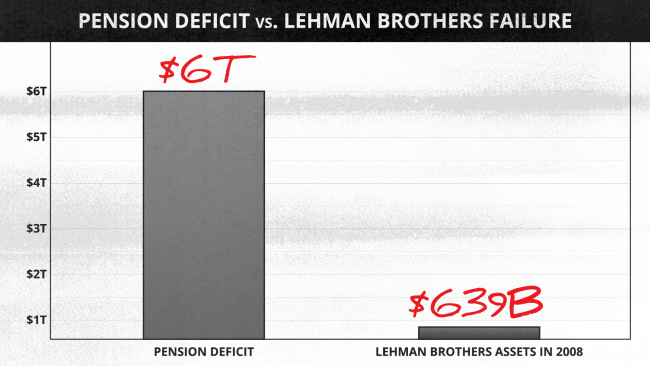 That’s NINE AND ONE-HALF TIMES MORE than the value of all the assets Lehman Brothers controlled when it failed in 2008. And you remember how scary things got after that. The Dow, the NASDAQ, the S&P 500 all plunged by about half. 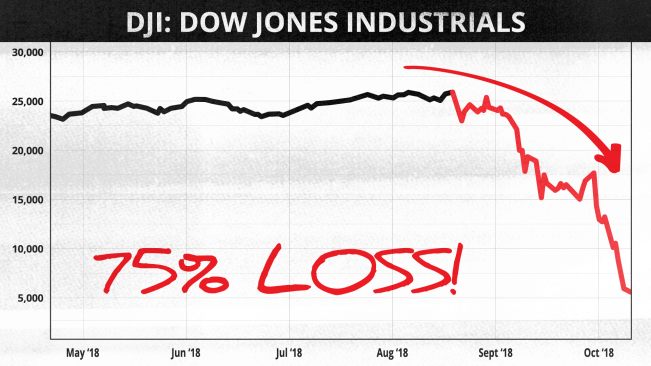 If that were to happen today, uninformed investors could suffer the greatest point losses in history: Up to 24 times worse than the 500-point loss the market suffered in the “Black Monday” crash of October 19, 1987. And remember: That’s only if this crash is NO WORSE than the last one. 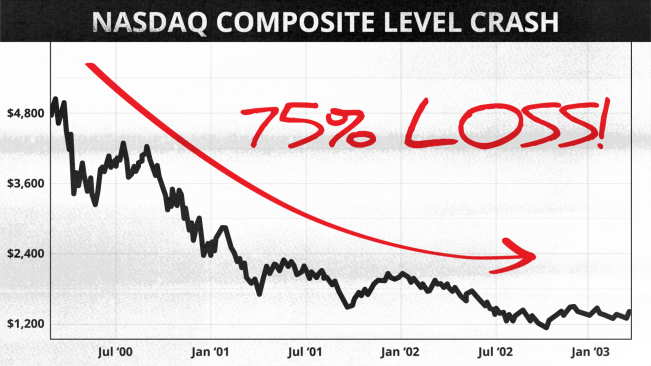 If it’s as bad as what happened to the NASDAQ when the dot-coms imploded in 2000, the Dow could plunge by as much as 75%... maybe even more. That would imply a decline of 18,750 points today. You may soon get a second chance. But first, you need to get your money safely through the worst of this crisis. My name is Keith Fitz-Gerald. 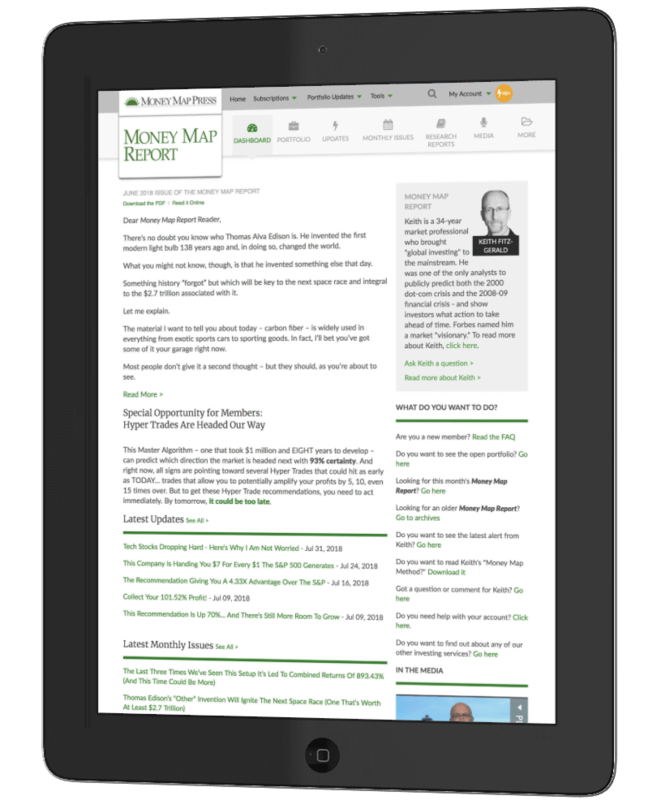 Since 2007, I’ve been the Chief Investment Strategist for America’s largest investment publishing house, Money Map Press. Frankly, I’m shocked that nobody else in our industry is warning you about this extremely hazardous situation. And I’m OUTRAGED that nobody else is doing the research you need to insulate and grow your wealth as this crisis unfolds. Everyone knows that bull markets end. Everyone knows that THIS bull market is more than nine years old and way overdue for a major – and I do mean MAJOR – correction. And yet nobody I know is sounding the warning! My staff and I have been closely monitoring this situation for many months now. We have examined scores of public and private pension plans. Then, we determined how much money they’ll need to make good on those promises and calculated how quickly each pension plan is burning through its assets. And finally, we identified the dates upon which each is expected to default. What we found was deeply shocking: The seven worst offenders are all set to default in a matter of 30 days. 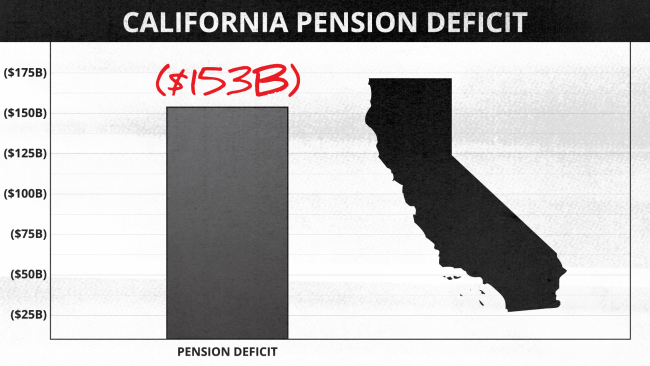 The California Public Employee Retirement System – or CalPERS as it is known for short – is an utter catastrophe. It’s staring at a $153 BILLION current, unfunded liability – one of the largest nationwide. Even worse, CalPERS estimates that nearly a third of their future liabilities – meaning the money they owe to hard-working men and women – just ain’t gonna be there. 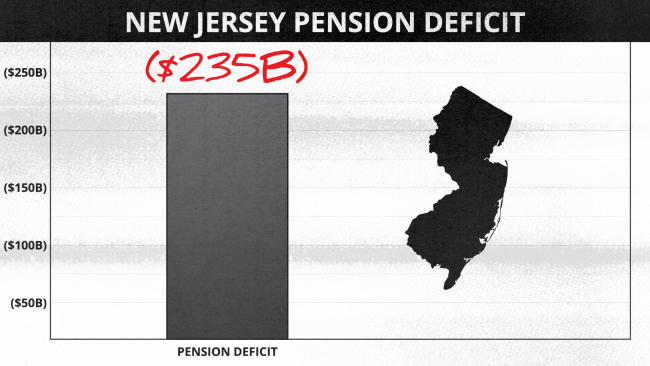 New Jersey’s public pension crisis is even worse – with more than $235 billion in unfunded liabilities. That’s $26,000 for every man, woman, and child. And unfortunately it’s getting worse. They’re now using state lottery money to shore up the weakest funds. They’ve had 11 credit-rating downgrades in the past eight years. Some of their pension plans are on course to go broke in mere months. The state has the weakest funding ratio in the nation. Only 37% of their obligations are covered. Right now, it’s on the verge of being the first state in American history with a junk bond credit rating. Bottom line? 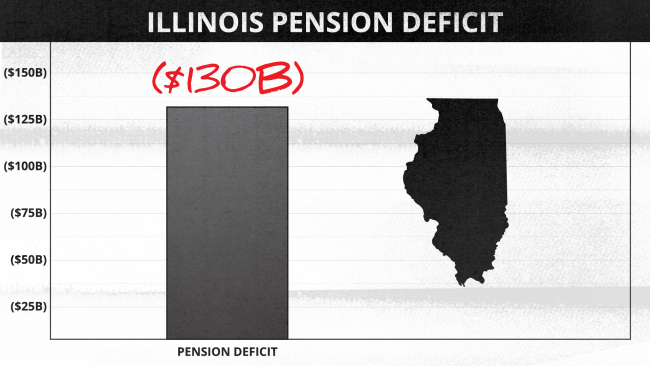 Bye, bye pension money in Illinois. 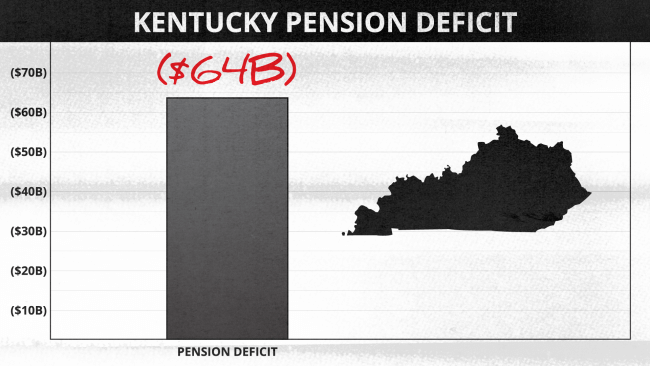 PENSION DISASTER #4 is Kentucky. 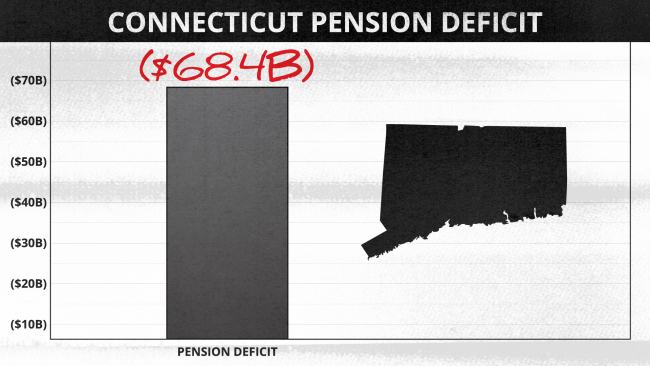 Their pensions are $64 BILLION in the red. 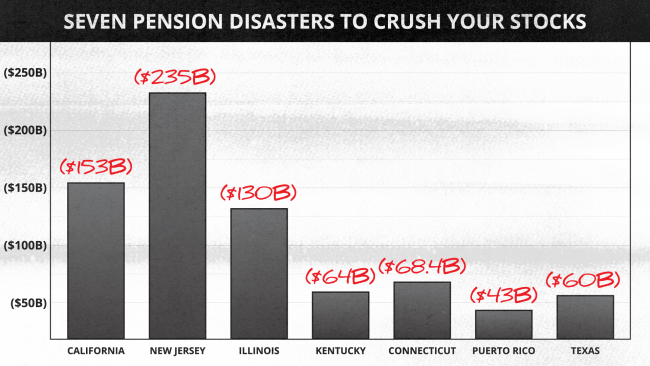 PENSION DISASTER #5, Connecticut, is reportedly $68.4 BILLION in the hole. 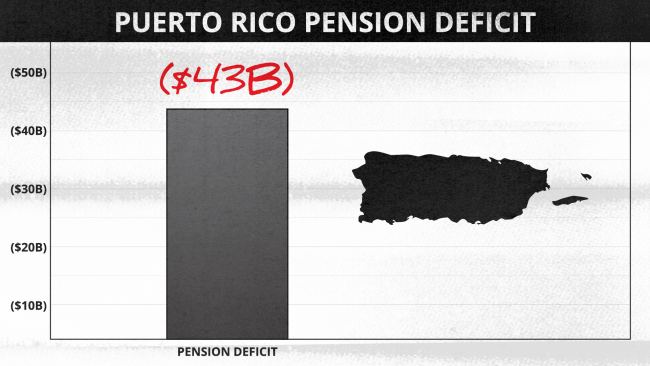 PENSION DISASTER #6, Puerto Rico, is $43 BILLION short. 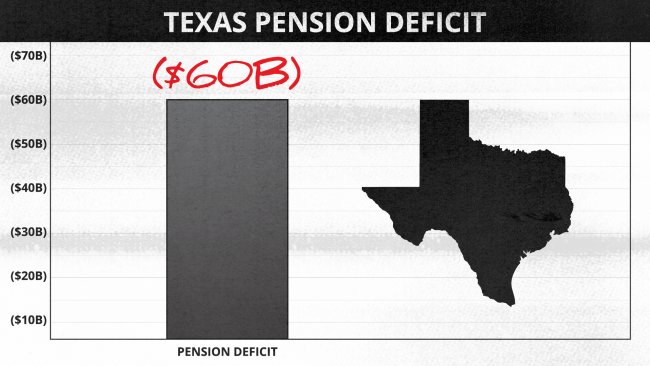 PENSION DISASTER #7, Texas, has promised retirees $60 BILLION more than it can deliver. And there are numerous other examples. These seven disasters are just the beginning. 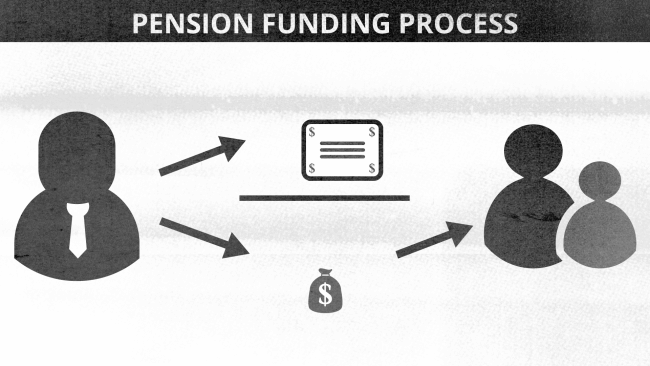 Right now, there are only two places that can claim “fully funded” pension plans. OK... but so far, we’ve only talked about government-funded pension plans. What about private pension plans offered by employers? They’ve got to be in better shape, right? Well, not exactly. Only 14 of those plans are scheduled to pay up as promised. The other 186 plans are $382 billion short. The failure rate could be as high as 93%. If you look at all 1,500 company pension plans offered by firms that make up the S&P Index, the underfunded total jumps to $560 billion. Now, those aren’t just numbers... make no mistake about it, this is money that hard-working people were depending on. For groceries. Shelter. Insurance. Healthcare. And more. It’s a dirty, rotten scandal that no one is talking about. And now, this year, the chickens are coming home to roost. So what are the chances that America’s pension funds will finally admit they’ve been inflating their projected returns? If fund managers ever told the truth – allowed for a more reasonable rate of return like 2.5% – they would first have to set aside... wait for it... $541,908 for every man and woman in the plan. That’s half a million dollars for each and every person. No pension fund I know has that kind of extra money. Think maybe they could take that half a million out of plan members’ salaries as increased contributions? Hah! You’d probably have a riot on your hands... after the laughter died down, of course. I mean – if plan members had an extra $500K laying around, why would they even need you? Think fund managers could go to Congress and get a tax increase to fund their plans? The average American wage earner only makes about $42,000 a year. Even if you could confiscate 100% of his income for a dozen years, you’d still come up short of the $541,000 per member needed to keep these pension funds liquid. Can you see why this is like staring down the barrel of a loaded gun? The situation I am describing has the potential to be a defining moment in history... only it won’t be a moment of glory as intended for millions of retirees. Instead, we’re talking about a broad, sweeping, national crisis that will bring the entire U.S. economy to its knees. As millions of seniors get pay cut after pay cut, millions of vehicles will be repossessed. Family homes will be sold for food and living expenses. Others will simply be seized by lenders for non-payment. With as many as 31 million Americans struggling to survive, we could see as many as three million homes lost to foreclosure. That’s triple the average number of foreclosures we now see in an average year. And it’s potentially more defaults than what occurred at the peak of the 2008 financial crisis. And the shockwaves unfortunately will continue to be felt for years. Interest rates will soar. Consumer demand will fall off the proverbial cliff. The market will stagger and plunge further. Your state income taxes, sales taxes, and property taxes will likely soar to meet pension obligations. State budgets will be stretched to the breaking point. Spending more on pensions means they’ll have to spend less on roads... less on schools... less on social services... less on public transportation... and more. State and local governments will fire younger employees to delay paying their pensions. That means fewer firefighters... and police. And more crime in unprotected neighborhoods. According to ABC News, Houston Mayor Sylvester Turner recently warned about the crisis – saying that “hundreds” of police officers and firefighters could be laid off. When this happened in Greece in 2012, there were riots and fires in the streets. Frustrated seniors protesting their lost money were tear-gassed by the police. Now, there’s no more delaying it. They’re running out of money fast. 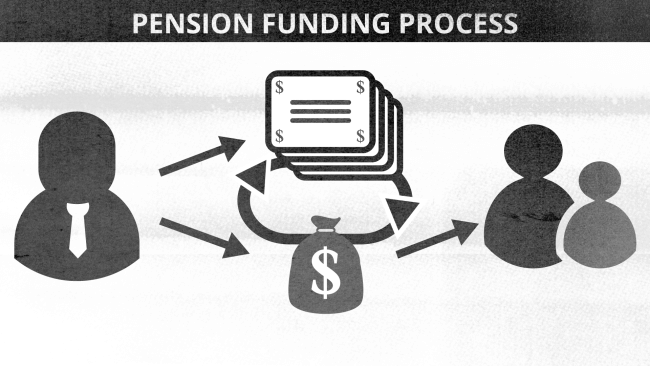 It’s finally time for these horribly managed pension funds to pay the piper. A crisis likely to make the 2008 credit crisis seem like a day at the beach. The more you study this rapidly unfolding crisis, the more terrifying it is. Consider, for example, another 10 million hard-working men and women (like you) who are out of retirement luck? The crisis I’m talking about is simmering (and set to explode soon) in America’s Multi-Employer Pension Plans. They’re currently $150 billion upside down, meaning they owe retirees $150 billion more than they can pay. Worse, there’s no help in sight. The insurance pool for multi-employer plans is a staggering $58 billion in the red. But for you, there’s good news, too. For one thing, if you get started now, there’s still time to prepare. And for another, there’s plenty you can do to protect yourself. What’s more, it’s easy to do. You can begin protecting everything you own in just a few minutes. And if you play your cards right, this great pension time bomb could also make you quite a bit wealthier. This is why I’ve just put the finishing touches on five guides (valued at over $439) that take you step by step through the process of building real, independent financial security. So when the you-know-what hits the fan, you can laugh all the way to the bank. How to protect yourself and cash in on the next, big financial crisis. And it includes five separate guides designed to help you understand the profound obstacles in your path, steer around them... and then use the coming market chaos to build wealth rapidly and almost exponentially. And you can claim these guides, absolutely FREE. 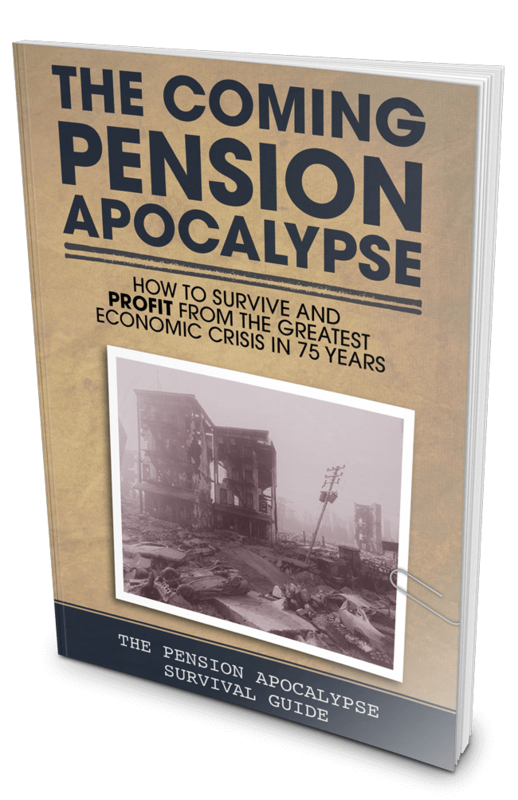 Survival Guide #1 is The Coming Pension Apocalypse: How to Survive and PROFIT from the Greatest Economic Crisis in 75 Years. This is the guide that every paid-for politician and incompetent administrator hopes you’ll never see. They don’t want you to know the truth... until it’s too late. Well, I happen to think that’s criminal. You need to know the truth now – before broken promises sweep away every shred of your financial security and your dignity. 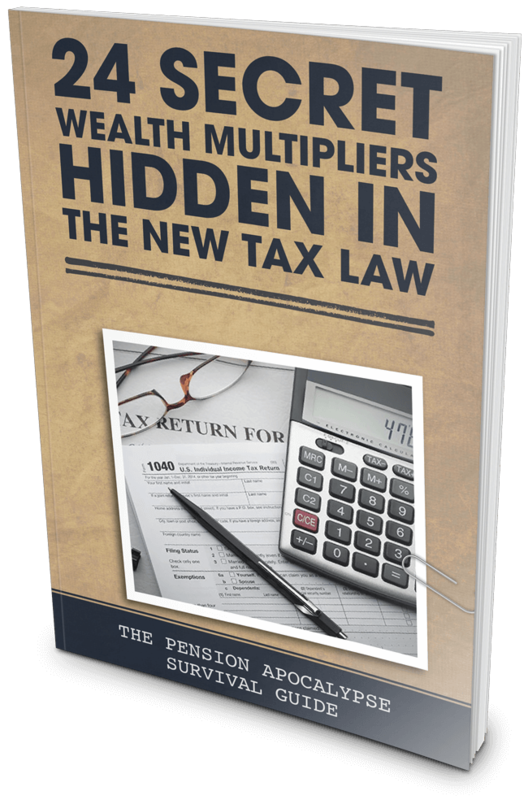 So your free guide includes the UNCENSORED TRUTH about every major public and private pension plan in every state. Wondering if your plan (or your neighbor’s plan) is about to collapse? Here’s the truth you need to know now! You also get an instant, non-partisan analysis of the real, uncensored HEALTH of these plans. And I also include a complete analysis of the plans’ portfolios, predicted rate of returns... and the actual returns that won’t even come close. Millions will be caught flat-footed... BUT NOT YOU. 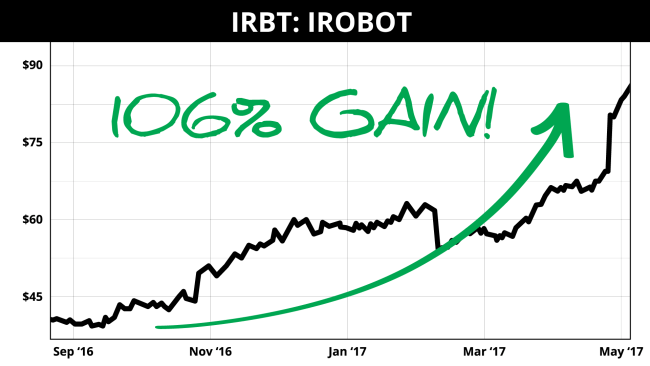 Your money will already be protected, and pumping out almost impossible profits. Time is rapidly running OUT to protect yourself and the ones you love. And make no mistake about it, a typhoon is coming. It’s set to make landfall with your money in a matter of 30 short days. So once you’re finished learning how to protect yourself, I’m going to help you harness the awesome power of this crisis to grow wealthier. 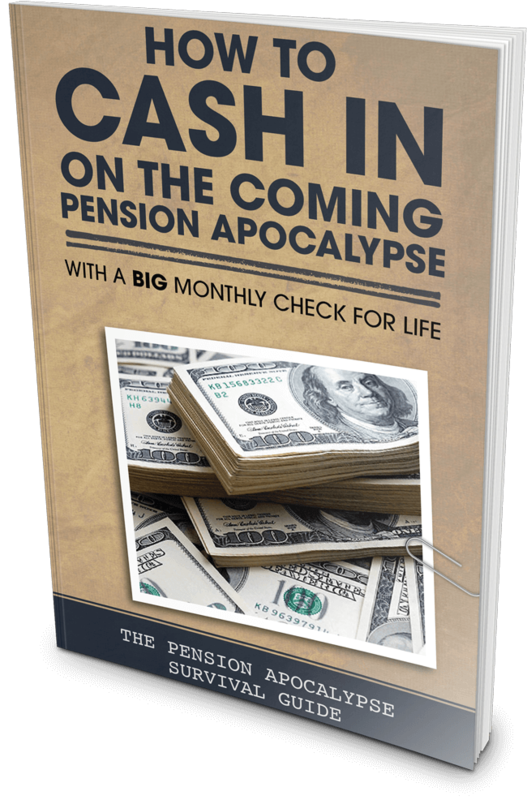 It’s all in Survival Guide #2: How to Cash in on the Coming Pension Apocalypse – with a BIG Monthly Check for Life. This highly accelerated wealth-building plan can generate a FAT monthly check that covers your expenses, plus a few luxuries – no matter what. The secret “gift” from Ronald Reagan that could be worth $2,270 a month, CASH in your pocket. 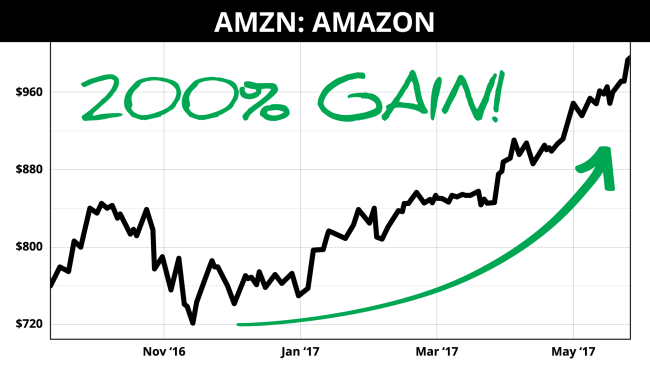 This little-known bonanza lets the little guys become “instant insiders” for some of the most dynamic, fast-growing companies in America. This program is a massive, personal income generator because these companies are allowed to pay ZERO corporate income tax – as long as they distribute at least 90% of their income to investors. 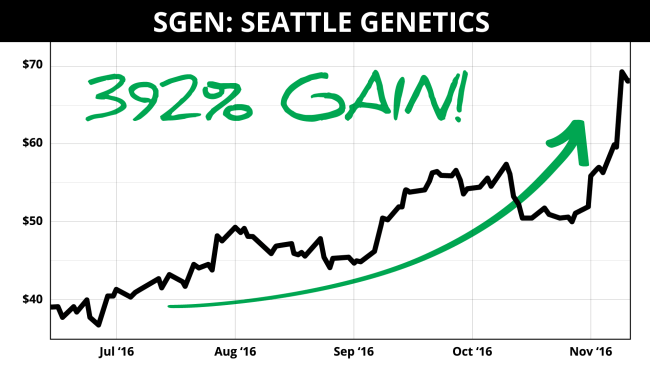 One of my favorites is throwing off an almost unbelievable 13% yield, and that’s not counting one penny of capital gains. That’s a nice, fat chunk of money. Your free guide also reveals how to get a nice, BIG “rent check” from Uncle Sam every month. The trick? 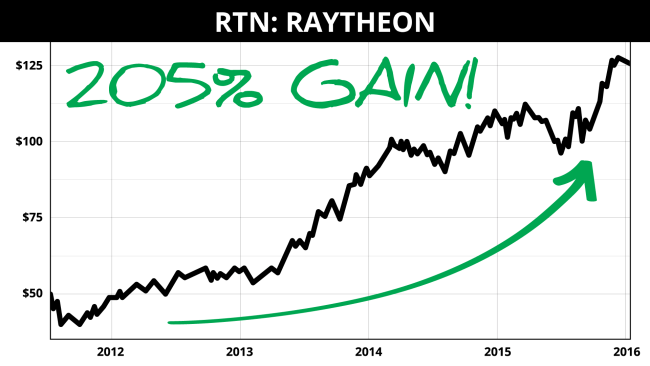 You invest in two very specific government REITs that throw off up to 12.54% in dividends. These two investments alone can deliver $1,700 to over $4,000 a month for an average-sized nest egg. You see, these can be rock-solid investments no matter what happens on Wall Street. Even after the coming crash, the government still needs to pay the rent... and you could be laughing all the way to the bank. I also give you the commodities ETF that can safely deliver a stunning 17.48% dividend yield. For the average investor, that’s a monthly check totaling $2,382.77. 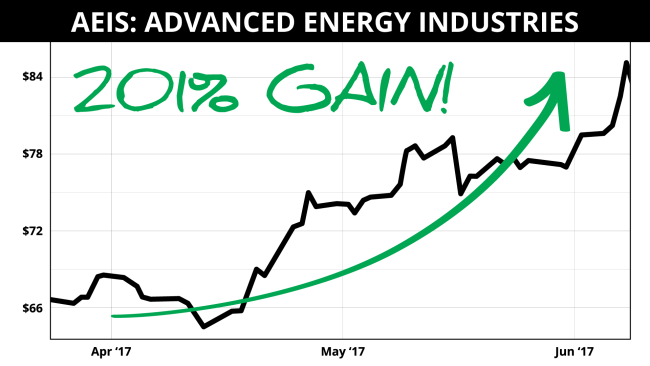 Plus, I reveal the petroleum-infrastructure play that’s handing out 14.7% dividends. That’s a $2,005 check every single month. And for even better diversification and safety, you’ll also learn about an impeccably managed ETF that holds foreign REITs. When the pension crisis explodes into the headlines this fall, this ETF will be virtually immune to the crisis. And while everyone else is running for the lifeboats, you’ll be staying afloat with a nice, fat, 12.45% yield... or $1,697 a month. Depending on the size of your nest egg, we figure a mix of these stocks could easily deliver $4,384 to $6,388 a month for the average investor. 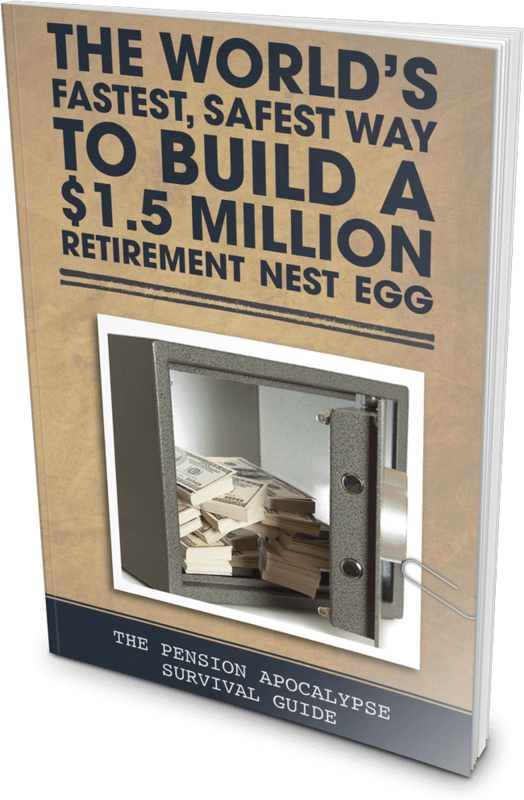 And so I also want you to have a free copy of Survival Guide #3: The World’s Fastest, Safest Way to Build a $1.5 Million Retirement Nest Egg. And more importantly, so you can potentially generate up to a $1.5 million nest egg by the time you retire. Honestly, I think we’ll do a LOT better than that... say $3 million or more, if you jump on this strategy right now. But as you know, there are many moving parts when it comes to investing. So the first thing we’re going to do is to trash the typical... diversification models provided by financial advisors and banks. Let me be really frank. Having money, a LOT of money, is the only way to survive the coming crisis. In your free guide, you’ll learn all about our proprietary strategy that helps you cash in on the huge gains in the current market – and which protects your capital base at the same time. And remember... a $1.5 million nest egg is fantastic. But in your free guide, we’re going to aim much higher than that. I’d be much more relaxed if you had $2 million or even $3 million tucked away. Now, that’s not a promise I can make, it’s been supported by some of my readers’ results. You’ll hear more from these shrewd men and women in a moment. What good is $1 million if you hand over half of it (or more) to the IRS and your home state? It’s SO true. It ain’t what you make, it’s what you keep that counts. And when the pension bust hits this fall, you can’t afford to send one extra penny to the IRS. In fact, you need to use their own rules against them to help multiply your wealth 10, 50, or even 100 times over, or more. But there’s still much more to it than that. You need to make your gains legally invisible to the IRS. But just wait until you get your hands on Survival Guide #4: 24 Secret Wealth Multipliers Hidden in the New Tax Law. 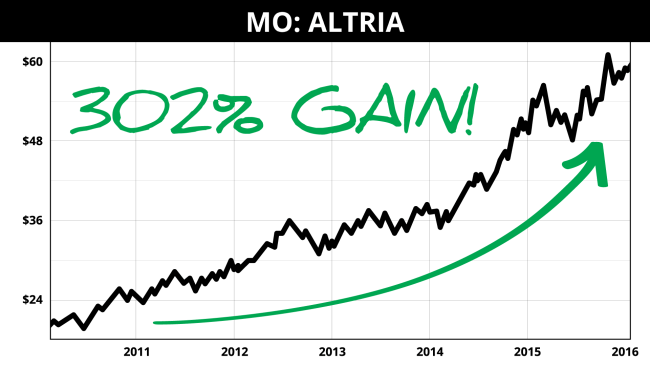 In this eye-opening volume, I give you the simple trick that can help you turn $2,000 into $840,000 by the time you retire. In 1997, when Congress passed the Taxpayer’s Relief Act, there was a little section inserted on page 825 that opened the floodgates for investors to start collecting huge gains without paying a penny of taxes. And I’m happy to say, this loophole managed to survive the new tax law. 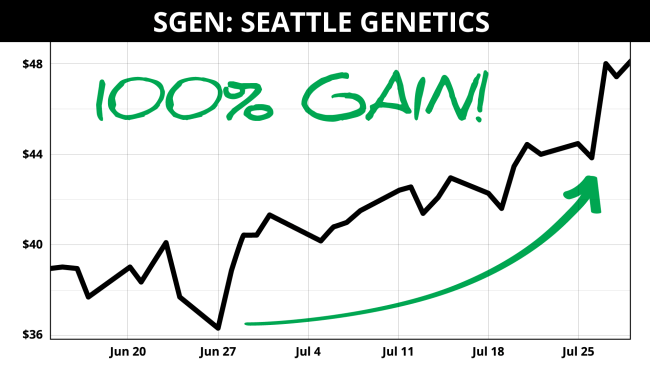 In your free guide, I’ll explain exactly how this long-term strategy works, and I’ll demonstrate how it can help you turn $2,000 into $804,000. That’s over 400 times your money. If you’re not using this loophole already. It’s not too late to start! And while this might sound like this is one of those complicated maneuvers used by billionaires with an army of accountants, trust me, it’s not. This loophole was actually created to help the middle class multiply their wealth... then live like the kings and queens they are when they retire. But that’s just a glimpse of what’s inside your FREE guide. You’ll also discover how to avoid paying tax twice on your dividends. I don’t care how careful you are with your record-keeping (or how shrewd your tax advisor is), it’s a safe bet that you’re flushing a big chunk of your dividend income down the toilet. This easy-to-understand guidance helps guarantee that never happens again. Plus, I’ll show you how to earn an extra $20,000 in tax-free income that’s immune to the pension apocalypse. And with 24 Secret Wealth Multipliers Hidden in the New Tax Law, you’ll enjoy more leisure time than ever. A whole new universe of perfectly legal deductions are unlocked for you. And you’ll actually save more money, and build your nest egg much faster. I’ll also show you how you could get a refund on taxes you paid last year. Imagine telling the IRS “Excuse me, but that money I gave you last year? I want it back.” Well, now you can! And the IRS has only one choice: to send you a check. I imagine they wouldn’t want you to see this section. I’ve also included the kitchen-table strategy that’s worth $10,000, tax-free. You put your feet up. Drink your coffee. And collect your cash. The IRS has no choice but to comply. How to get Uncle Sam to help pay for an MBA, a luxurious new pool, college tuition, a lovely vacation home at the beach... and so much more. Imagine that... you live richer, sail through the pension apocalypse, and the IRS helps you pick up the tab. That’s why the super-rich, and Wall Street insiders, are using these kinds of secrets right now to protect themselves and to profit from the coming crisis. In fact, they gladly pay tens of thousands of dollars to a team of tax attorneys, accountants, and ex-IRS agents to create audit-proof strategies like these. You have to ask yourself: Don’t you deserve the same protection? Don’t you deserve to multiply your wealth with a helping hand from Uncle Sam? So we’ve done the bulk of the research for you – with our team of shrewd financial professionals. Only we’re not charging you a single penny for it. If you’re still with me, I know you’re worried about having enough money to make ends meet – especially when the coming Pension Apocalypse comes crashing down on your nest egg. So that naturally leads me to the elephant in the room for every American who’s retired, or almost retired. It’s Social Security, of course. 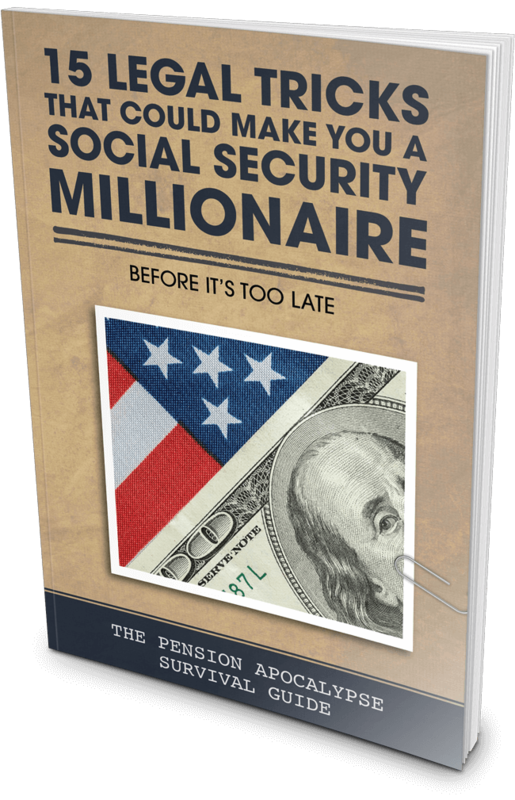 And we need to talk about that in Survival Guide #5: 15 Legal Tricks That Could Make You a Social Security Millionaire – Before It’s Too Late. A recent article by Harvard Professor, Marvin Feldstein in The Wall Street Journal gave a surprisingly honest and detailed assessment of Social Security’s fiscal health. And it’s going bankrupt by 2030 – only 12 short years from now! You know what that should tell you? You need to work the Social Security system right now. You need to leverage every loophole, every benefit, every provision, to grab every single dollar you can... before the pension apocalypse hits this fall. Now let me tell you, we are not related to the Social Security Administration, and the information we’ve compiled is accessible on their website. But wading through any government bureaucracy to get the info you are looking for is never as easy as you might think. Some of the smartest people often make the dumbest mistakes when it comes to maxing out your benefits. One study by a high-end, Social Security consultancy firm found that seven out of 10 married couples are missing out on an average of $120,000. Think about that for a second. Millions of Americans will leave billions of dollars on the table. A TIME magazine study revealed that most retired, married couples will collect a minimum of $42,000 less than they paid into the system. If your investment advisor did this to you... you’d kick him out the door. But this time it’s Social Security... and you have NO choice. I recently asked our team of top financial analysts and experts to shred the Social Security law and wring out every last penny for my readers. There’s much, much more, of course. And it can be all yours for free. One thing to keep in mind. The wealth-generating research in this free guide is not something that you’ll find for free on a Web search... or from a brochure at your local bank. The rich gladly pay tens of thousands of dollars for shrewd expertise like this. Honestly, that’s always made me boiling mad. The rich (who don’t really need Social Security in the first place) squeeze every penny out of the system. But the people who really need their Social Security money – are leaving a truckload of cash on the table. And in 30 days, when the pension crisis EXPLODES, you won’t want to lose a single penny. And you can claim it now, for free – along with all the other guides in our Pension Apocalypse Survival Plan. And Survival Guide #5: 15 Legal Tricks That Could Make You a Social Security Millionaire – Before It’s Too Late (a $79.95 value). That’s a total value of over $439... all of which is yours, FREE. The real value is probably a thousand times that much. And there’s still much more. I know you’re thinking long term for your money. And the road ahead is littered with nest-egg-swallowing potholes. However, it’s also opening some of the most fantastic opportunities for wealth building I have ever seen in my 35 years in the business. So, in order to claim your free Pension Apocalypse Survival Plan, all I ask is that you sign up for a heavily discounted, risk-free trial to my Money Map Report. I created this monthly research service so ordinary folks could capitalize on the same economic, demographic, political, technological, and medical revolutions that generate wealth rapidly... almost exponentially. We put you ahead of the market with a strategy grounded in three key principles. Align your money with Unstoppable Trends backed by trillions of dollars that will get spent practically no matter what happens next. This is money Wall Street cannot hijack, Washington’s political cadres cannot derail, and the Fed cannot stop. Buy only the world’s best companies making “must-have” products and offering services the world can’t live without and that have rock-solid balance sheets, near bullet-proof fundamentals, margin pricing power, global branding, and savvy management. Keep risk to razor-thin levels by buying value where and when we can find it and by using specific tactics like trailing stops and profit targets to continually harvest profits and minimize losses before they become catastrophic portfolio wipeouts. So, how’s that working out? Well, you tell me! 45 triple-digit winners... and 105 double-digit winners. And those incidentally include plays where we closed out part of a play and held the rest to collect more gains along the way! 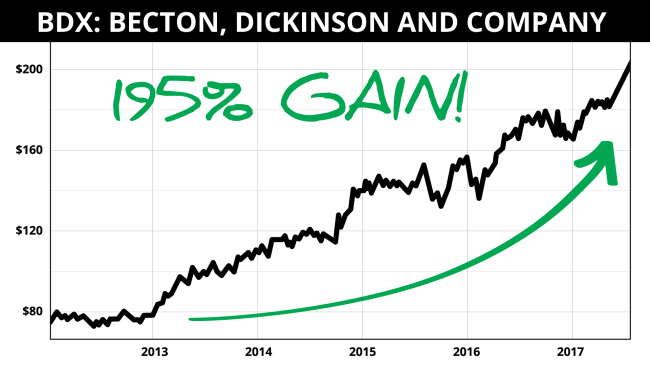 195% on Becton, Dickinson and Company (BDX). How many winners like these have you had in your portfolio? So it’s my job to put you way ahead of the trend, and to prepare you to pounce on every opportunity at the perfect time. When the markets stumbled 1,000 points twice in early February, a lot of small investors ran for their lives. That didn’t happen with our Money Map Report readers. I had already warned about a major pullback in our January forecast issue. 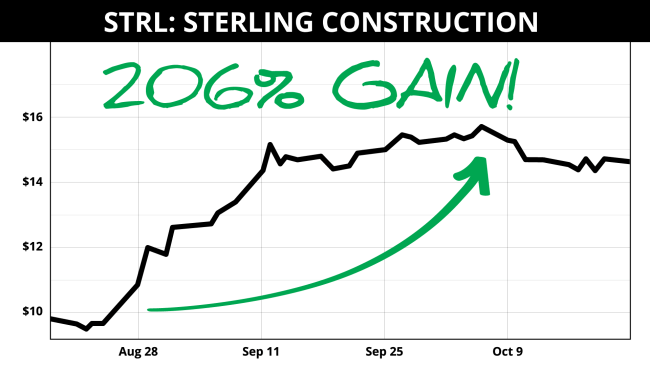 And we were well-prepared to weather the volatility, and then cash in. 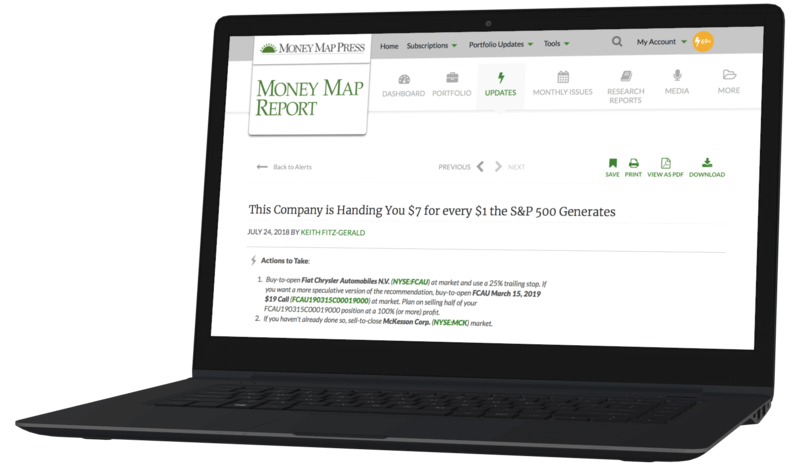 As a member of the Money Map Report family, you’ll receive the latest monthly issue both in your email and your old-fashioned mailbox. I will then reveal what moves are best to make right now, and how to position (or re-position) your money. And then I’ll also reveal at least two companies poised to ride an economic wave to all-time highs. 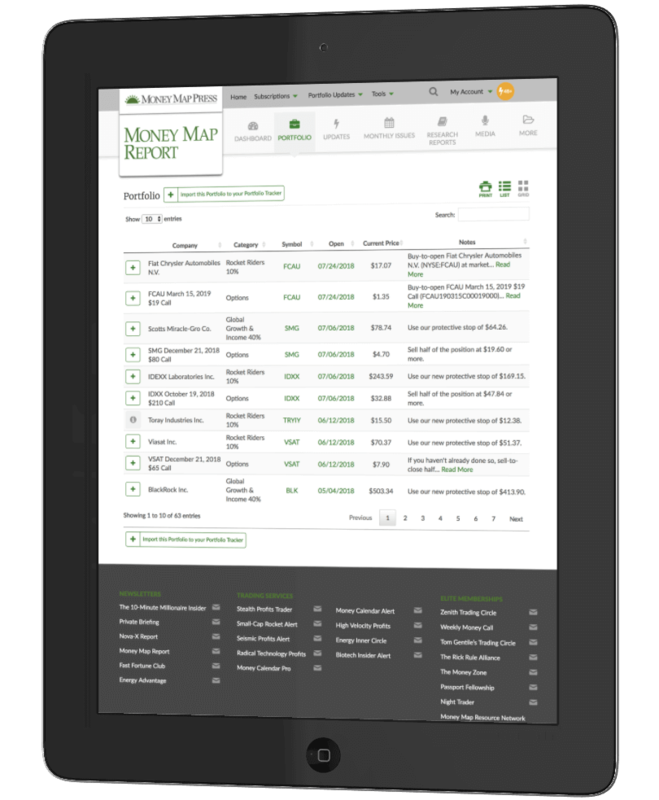 With Money Map Report, multiplying your wealth becomes the absolute essence of simplicity. Now, I’d like to say that we take the worry out of wealth building, but that’s just not true. When it comes to your money, and a volatile market, you’re always going to worry. I know that, I understand that. Chances are, you’ll worry a lot less when you’re staring at a portfolio that’s packed with double- and triple-digit winners. And especially if those winners were handpicked to preserve and grow your wealth through the coming crisis. James H. made $7,750 on ONE trade. $3,250 on another. Do I really have to answer that at this point? This is where I give you reassuring updates, sanity, and, of course, recommendations on the latest market conditions. 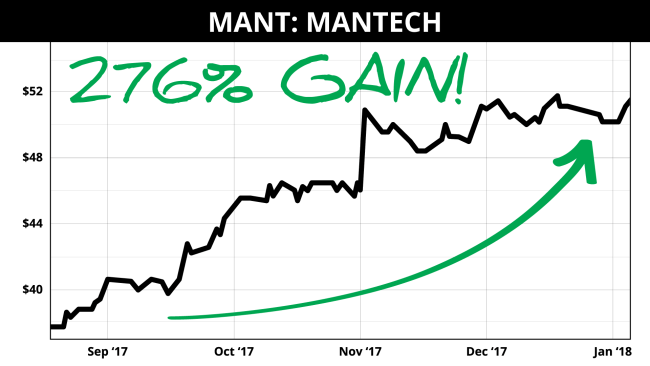 Whether you read it on your laptop or smartphone, you’ll always have a sane, measured response to market chaos – and exciting new opportunities. 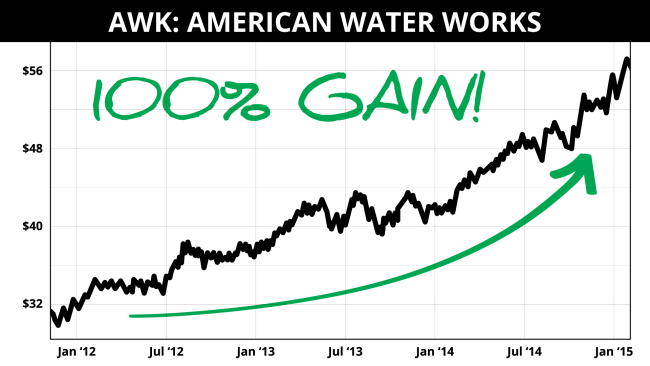 And 100% on American Water Works. It really pays to pay attention to the Money Map Report Digital Debriefing! Full access to all Special Reports – including your Pension Apocalypse Survival Plan. You’ll also have a “digital dashboard” where you can review the latest critical updates, reports, and recommendations at a glance. It’s like having a private entrance to inner sanctums of Wall Street – where real wealth is made. Our Money Map readers love this site. But most of all, they love what Money Map Report can help them do for their money. Honestly, I don’t think there’s a simpler wealth-building strategy anywhere. That’s why most people would be happy to pay the regular, one-year subscription rate of $299 for Money Map Report. I wouldn’t even dream of asking for that from you. If you’re one of the first 500 people to reply today, I’ll send you Money Map Report, and all the extra membership benefits, at a ridiculously low price. It’s NOT $299. It’s NOT $199. It’s not even close to $99. In fact, it’s only a few pennies a day. 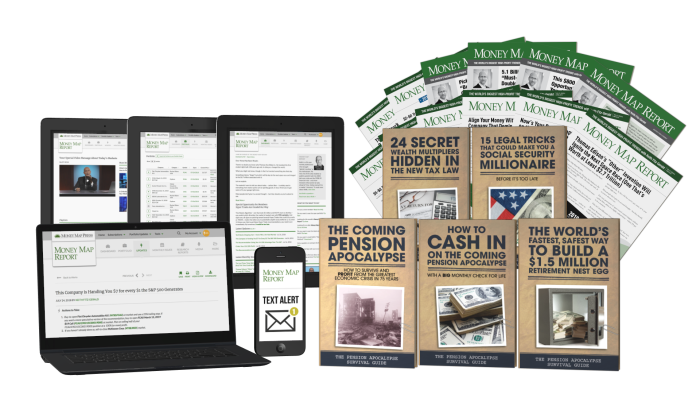 And I will also send you the complete Pension Apocalypse Survival Plan (worth over $439) absolutely FREE. You can click below to peek at this crazy-low rate. It’s the lowest rate we have ever made available to the public. And it’s only available to the first 500 people who respond today. You’re covered by our 60-Day, 100% Money-Back Guarantee! If you decide not to continue with Money Map Report, call us up within 60 days and you’ll get a refund on your entire subscription fee. And the best part is you can keep the complete Pension Apocalypse Survival Plan with my compliments. It’s a $439 value... yours to keep no matter what. How’s that for old-fashioned fairness? TIME IS RAPIDLY RUNNING OUT. Remember, the first shockwaves of the coming financial crisis will explode into the headlines in the next 30 days. It will be a “financial mass extinction event” for unprepared investors caught by surprise. 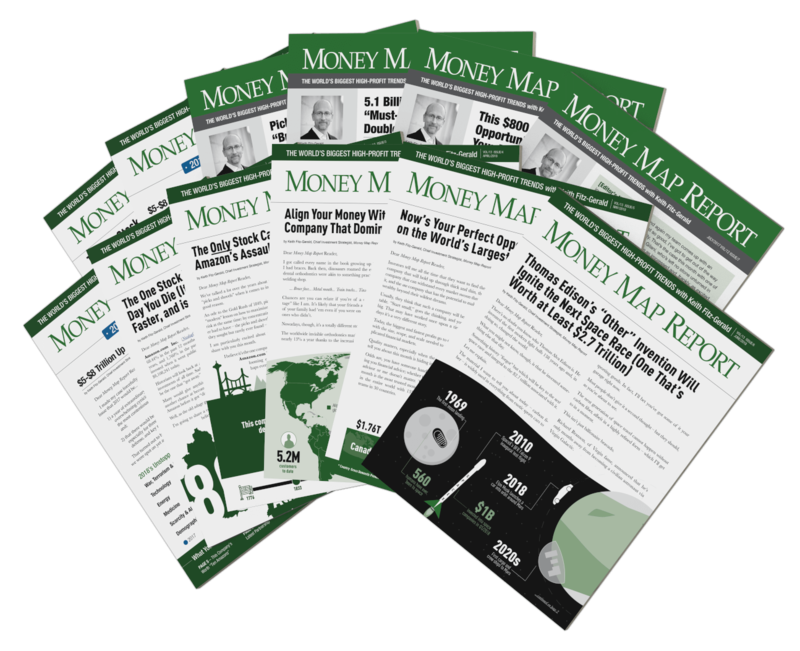 However, for those who are prepared – like our Money Map Report family, it will be the wealth-building opportunity you may never see again in your lifetime. And remember: We’re going to start by giving you the chance at a monthly check for $4,384 to $6,388. A $439 value, yours FREE! All with a tax bill that’s ZERO. And after we’re all set on these three points, we’ll begin multiplying your money exponentially from there. Don’t forget: It’s the first 500 people to subscribe today who get all these free guides and benefits. And they’re probably watching this presentation at the same time you are. So... you really need to click the button below NOW. Go ahead. You really risk nothing by accepting this offer. If you have any questions about the service and how it will work for you, I encourage you to contact our reliable customer service team at 888.384.8339 or 443.353.4519 (international) and mention Priority Code: EMMRU8VG. I can’t guarantee this unprecedented invitation will last much longer. I look forward to us working together soon. Thank you for your time and for joining me today.